He was born in Madrid in 1980. When he was a child he liked very much to see the work of his father, that he has got a little workshop in his house and, in his free times his father made guitars of his collection. For him was a great pleasure look him there how Teodoro worked the guitars. 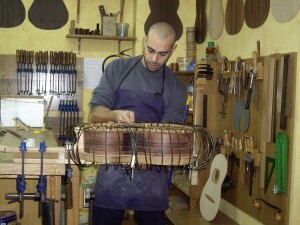 In 1998, he started working with his father, where he began learning the guitar build secrets. 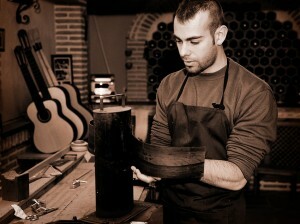 In these years, his work was for one side commercial relationship and for the other side the guitars building. His proposal is to continue the way of his father working in their own familiar company.